A prototype zero-emission all-electric delivery vehicle is ready to start extensive real-world testing on the streets of London. 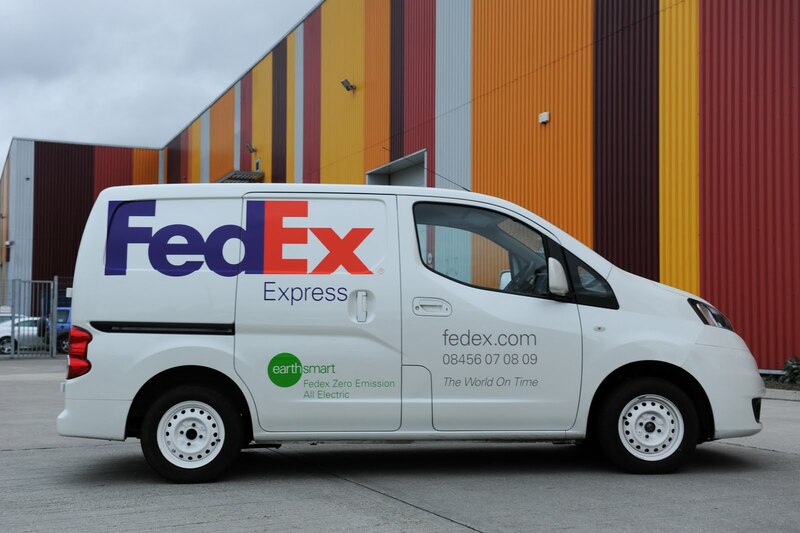 FedEx Express and Nissan are collaborating over a two month period to evaluate how the NV200 electric vehicle (EV) prototype copes with the rigours of daily duties in the capital. The Nissan NV200 EV prototype uses the same EV powertrain and battery originally developed for the multi-award winning Nissan LEAF - the world's first 100 per cent electric mass-market family car: 2011 European Car of the Year, 2011 World Car of the Year, and Car of the Year Japan 2011-2012. To date Nissan already sold more than 20,000 Nissan LEAFs, making it the best-selling all-electric car across the globe. Beth Galetti, vice president of Planning and Engineering, FedEx Express EMEA (Europe, Middle East, Indian Subcontinent & Africa) said, "FedEx is proud to collaborate with Nissan on this initiative. Our cross-sector approach to reduce dependence on petroleum, reduce carbon impact and eliminate tailpipe emissions remains unwavering. At FedEx, we seek to connect the world in responsible and resourceful ways and we will continue to work closely with Nissan to change what is possible." "Zero-emission vehicles like Nissan LEAF are already playing an increasingly significant environmental role in our towns and cities. The Nissan NV200 EV prototype delivery vehicle will not only improve the quality of urban life, but thanks to best in class running costs has great potential to ease the economic burdens placed on companies," said Nissan Corporate Vice President Hideto Murakami, responsible for the Global LCV Business Unit, "FedEx Express feedback from the evaluation process will help us tailor a future battery-powered light commercial Nissan vehicle that meets customer needs." "Collaboration is part of our global vehicle strategy," explained Dennis Beal, Vice President of Global Vehicles for FedEx Express. "Through collaboration we can exponentially improve and expedite what is possible. We value the opportunity Nissan has given us to provide experienced feedback and contribute to development of the best Nissan NV200 possible." FedEx Express currently operates 43 all-electric vehicles in London, Paris, New York, Los Angeles, Chicago and Memphis- all of which are ideal dense urban centres. With zero emissions, no tailpipe, and energy-recycling regenerative braking, the Nissan NV200 EV prototype is particularly well-suited for congested city streets where poor air quality is causing increased concern and the start and stop of city traffic reduces the wasteful loss of energy and thus increases the efficiency of the vehicle's driveline. Battery charging options include a complete recharge overnight or up to 80 per cent capacity in just 30 minutes using a Quick Charger. Additional trials are anticipated for 2012 mirroring similar trials held in 2011, where the NV200 EV prototype was used by the Japan Post Service on delivery and collection duties in Japan.